For most of us our home is our greatest asset. 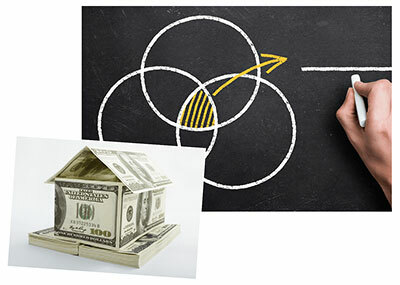 In today's market, so much depends on the calculation of your current home value. Whether you are simply interested in the real estate market, checking on your equity position, or thinking about selling your home, knowing the current value can be extremely helpful. The average of three. Why do we give you the results from three home value estimators? So that you can get more information from three independent sources, and notice that there is variation from any kind of tool that automatically generates output. With these numbers, and the help of your trusted agent, together you will find the most accurate price point. Our three credible partners give you an easy start to understanding today's home value.